A septic tank is the first component of a home wastewater system that collects all the refuse that goes down the drains of your home or business if you are not hooked up to a municipal sewer system. Most tanks are about 1000 gallons in size and are buried underground. What maintenance does my septic system need? It should be inspected yearly and pumped every two to five years in order to continue functioning properly. This is why we developed our "Forget About It!" program that will take all the guess work out of it for you. Pump My Tank will automatically follow up with you when service may be needed! What does a septic tank pumping do? The cleaning of your septic tank removes all of the waste, scum, and sludge from your tank allowing it to work as intended. Where does Pump My Tank service? We service our customers all over Central Ontario. We are based out of Innisfil so we can get to your location in Stroud, Barrie, Thornton, Cookstown, Alliston, Lefroy, Midhurst, Oro, Bradford or Newmarket quickly and efficiently and make sure your septic tank is cleaned and inspected throughly and with professional friendly service. I am having my septic tank pumped. What access do you need to my septic tank? If you know where your septic tank lids are located it would be very helpful it you could notify us where it is and if possible expose the lids for us. If the location of you tank is unknown we will do our best to help you find it and we will keep it on file for next time. Yearly inspections of your septic tank and drain field are recommend by the Ministry of the Environment and other experts. This inspection is critical to avoid costly repairs. The same experts recommend pumping the tank every 2-5 years. This frequency can change depending on the size of your tank and the wastewater demands your family has. How do I make sure my septic system lasts a long time? The biggest thing you can do to make your home's septic system last is to have regular maintenance and pumping of your septics tank. If you are already having you tank cleaned and inspected there is one more thing you can do. Make sure that nothing goes down your drains that will make it more difficult for your system to do it job. Paints, oils, fats, garbage and harmful chemicals should be avoided since they kill the "good bacteria" that break down the solid waste in your septic system. My septic smells bad. What's wrong with it? Generally speaking your system should function without any major odours since the tank and material and the breakdown process is occurring underground. If you are experiencing some unpleasant smells it could be an indication that your system needs some immediate attention. We would be happy to come take a look. Most commonly you will require a tank pumping and if there is additional work required we can refer you to the right business. We need a new septic system installed. Do you do that? We highly recommend Eisses Brothers Excavation for installation of new septic systems. With years of experience and a longstanding reputation we know you will be in good hands. How do I pay Pump My Tank? We accept cash, debit, Visa, Mastercard or cheque, and provide you with a detailed invoice explaining the services provided and an recommendations that we may have. I am selling my home do. Do I need to have my septic system checked? It is standard practice to have your septic tank pumped out before the new owner takes possession of the house. The purchaser may want to contact us to do an inspection of the system. Are there other names for a septic system? The leaching bed is also called sub-surface disposal field, tile bed, septic bed, trench bed, conventional bed, disposal bed, treatment trenches or weeping bed. All of these terms refer to the horizontal lines that distribute liquid effluent back into the soil for final treatment. The tank is almost always called the septic tank. Are there any special rules for owners of septic systems close to Lake Simcoe? Since March of 2011 systems in certain parts of Ontario will require mandatory re-inspections every five years as per changes to the Ontario Building Code (O. Reg. 350/06). This regulation applies to all areas within 100 metres of the shoreline of Lake Simcoe or other water bodies in the Lake Simcoe watershed. Are there and products I can use to make my septic system work better? Believe it or not there are many myths and home remedies you need to steer clear of. Probably the most popular one is, "I've been told to throw a dead animal in my septic tank to boost bacteria". This certainly is NOT true and could cause many additional problems in the system. Other home remedies include adding yeast or other strange products to the system in hopes it will help. Each of these suggestions is wrong for their own reasons and totally ineffective and potentially harmful. So the short answer is: no, there is nothing you can put down your septic tank to make it work better. But what about additives at the hardware store made for septic tanks? There is a huge variety of septic system additives available at all the big box stores but we trust Eco Ethic exclusively and it is the only product we use personally and recommend to our valued customers. EcoEthic is Certified by Environment Canada's Ecologo Program and we have had great success at maintaining healthy septic systems with this product. Who is the "Cheapest Septic Pumping Company" or the "Cheapest Septic Pumper" in Barrie, Innisfil, Oro, Springwater etc.? Actually, we're not sure who's the cheapest. We have always focused on quality and dependability with a competitive price. At the end of the day we want to make sure that we throughly clean and inspect your septic tank (system). If their are deficiencies in the system we want to point them out before they are a big issue, and we possible we offer to repair them. Although many pumpers are doing their best there are others who are taking advantage of their customers. There are always stories we hear about pumpers sucking the liquids and leaving the solid matter and generally doing a terrible job. We just believe in doing it right and for a fair price. What can be done to improve or repair a septic system that is not functioning properly? If there is a significant issue preventing the leaching bed or drain field from functioning properly your system might be a good candidate for Septic System Rejuvenation & Restoration. Essentially this is a resotration process to regain flow and capacity to the drain field and it can be done in a minimally invasive way and at a much lower cost than replacement of the system. Is Pump My Tank afiliated with the municipal government, Ministry of the Environment or other government agencies such as Conservation Authorities? No, aside from any requirements the agencies and governments place on us as a sanitation company dealing with waste we have no affiliation. We maintain all required licences, certifications, permissions and certificates from each level of government to facilitate our field of expertise. I was looking for Oro Sanitation, Innisfil Disposal, Gethon's Pumping Service, Regional Septic, Brauntec, Ritchies or another septic pumping company in the Barrie area that I have used before, can you help? There is nothing preventing you from changing your service company of choice for your septic system's maintenance. We have experience on every style of system and can offer you a full service solution that we know will exceed your expectations. So, if you haven't tried Pump My Tank we encourage you to give us a chance to wow you! Does Pump My Tank offer hydro excavating with hydrovac trucks? You're thinking of our sister company serving municipalities, commercial projects and the construction industry in Barrie, Simcoe, Bradford, York Region, The Greater Toronto Area, west to The Georgian Triangle and north to Cottage Country with dependable daylighting, hydro trenching, excavation and emergency service, Great Ontario Hydrovac. 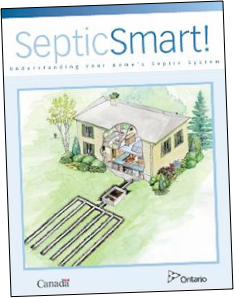 Want to learn more about your septic system? Click below to download the PDF brochure on understanding your septic system from Conservation Ontario.